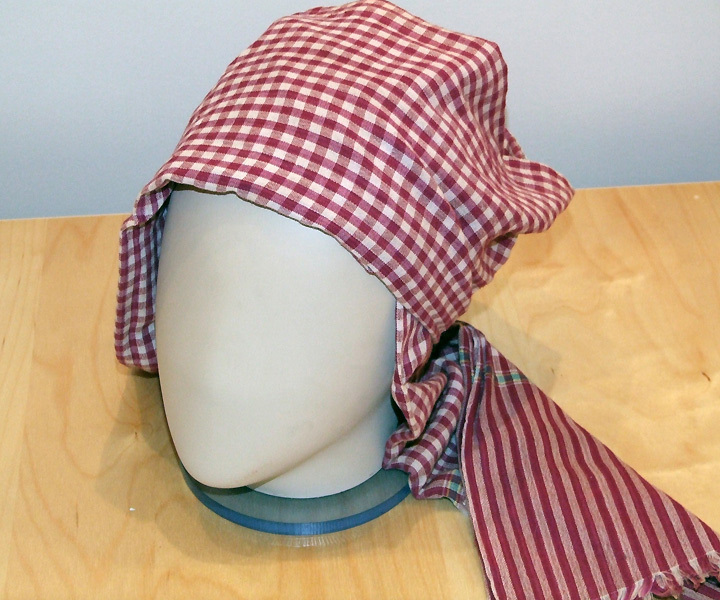 Checked piece of cloth in reddish colours is the most widespread headdress of Khmer peasants which allows not only cover the head but to freshen the face or cover shoulders in a cool morning. 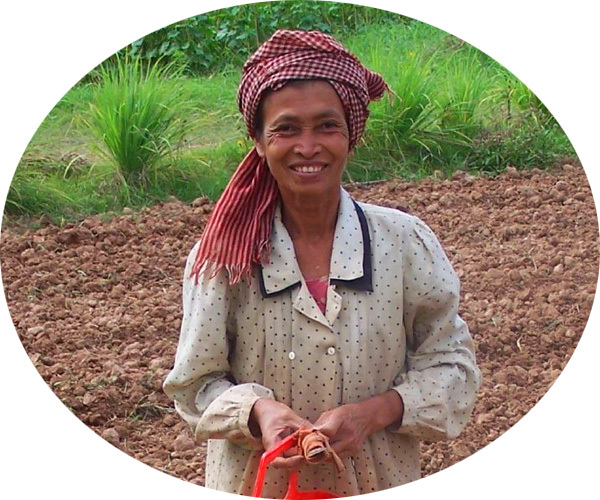 During field work, Khmers always place the kroma around the waist to fee more comfortable. Cambodia, 20th cent.